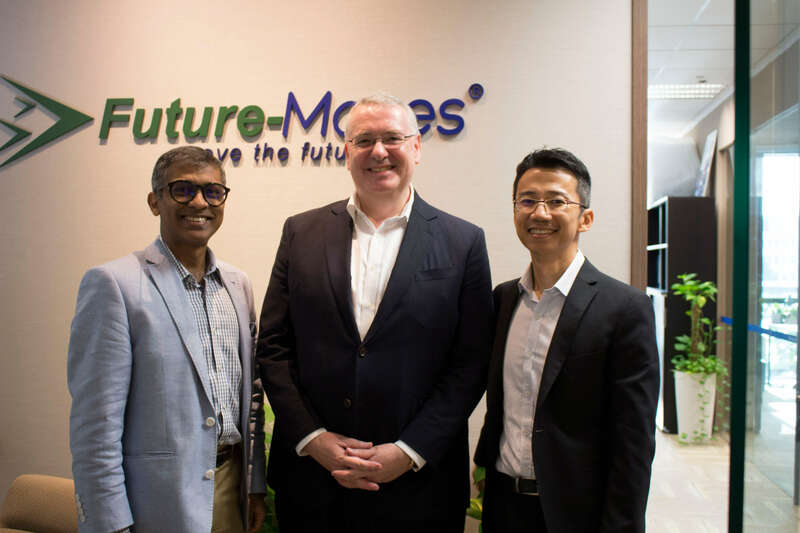 Future-Moves Group had the pleasure of hosting Mr Victor Mills, Chief Executive of Singapore International Chamber of Commerce (SICC), at our office last Friday (13 October 2017). Mr Mills spent some time speaking with our CEO Mr Devadas Krishnadas and Director Mr Kok Fatt Lee about the exciting plans in store for our dynamic company in the next two years. Updating Mr Mills on the upcoming developments FMG has lined up. Singapore International Chamber of Commerce (SICC) is a multinational organisation, with a 600-strong membership. It is the oldest chamber of commerce in Asia, and the oldest commercial organisation in Singapore. SICC’s membership encompasses business units from large multinational corporations operating in Singapore, to small, locally owned business enterprises. SICC is a strong proponent of collaborative innovation, and FMG looks forward to working closely with Mr Mills and the chamber to springboard our company’s future growth.